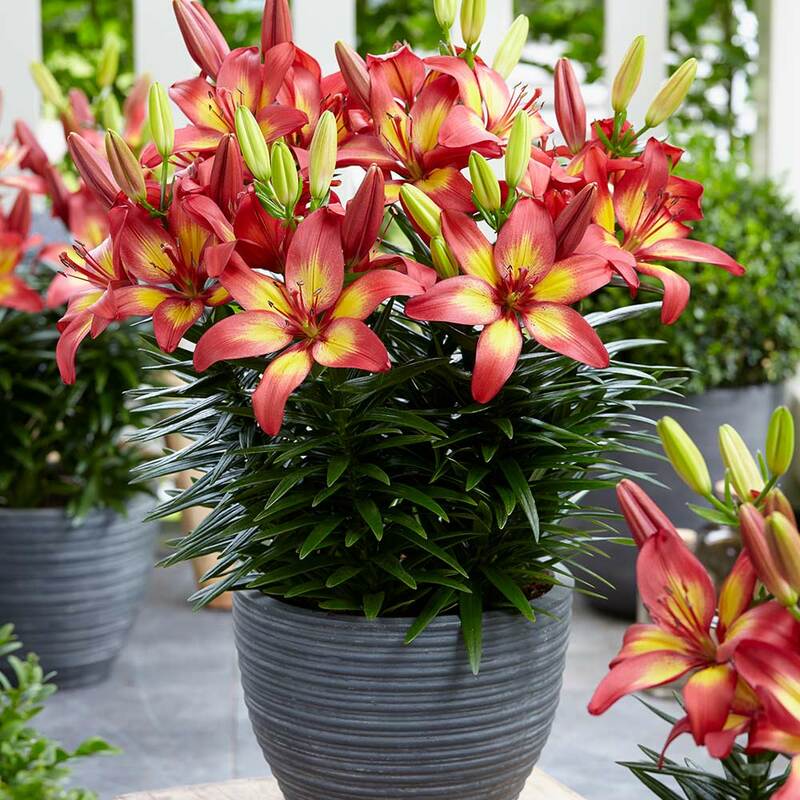 A new introduction for 2017, Majestic Joy is part of the Lily Joy Series and is a stunning dwarf growing, short stemmed Asiatic Lily. Growing to only 60cm tall they are perfect for patio containers, pots or for growing at the front of the border. 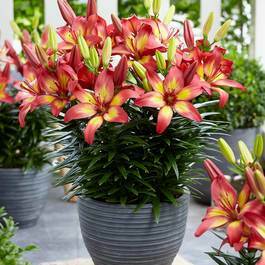 Lily Majestic Joy produces wonderful golden dark pink/yellow flowers. 12/14cm bulbs supplied.